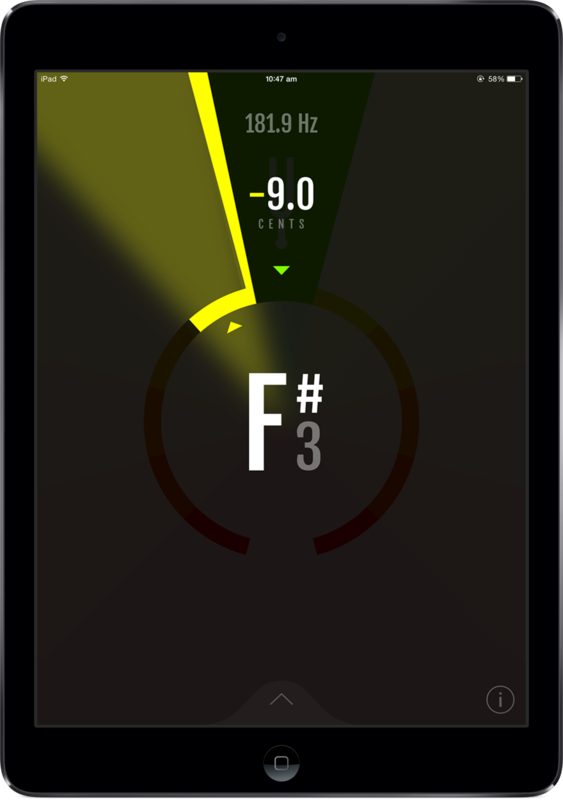 Frozen Ape is proud to release Pitch, a new chromatic tuner app for iOS. Pitch is a combination of a state-of-the-art tuning engine and great design with a modern, iOS 7 feel. 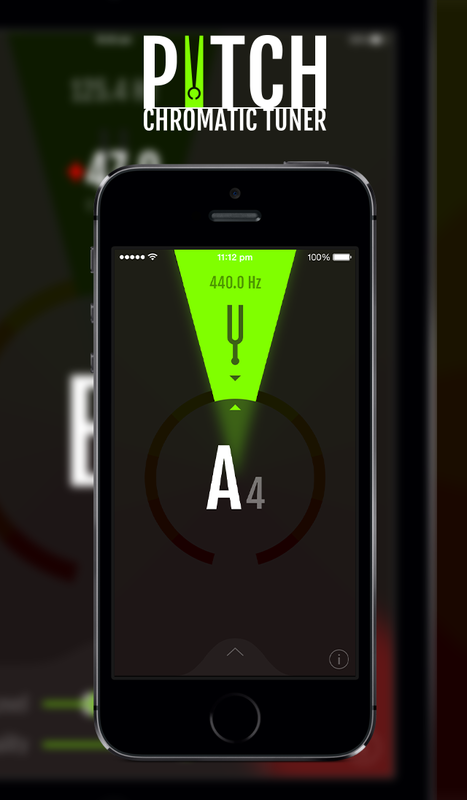 The app responds rapidly to audio input and shows accurate detection for any note from any musical instrument. There are many competing offerings, but most of them have complicated interfaces crowded with unnecessary features. The minimalist design on Pitch focuses on the task at hand while offering advanced features on an extensible panel. Tuning is visualized as a ray of light that changes intensity, color and direction with the detected dominant frequency. The unique Level and Quality meters allow users to fine-tune thresholds beyond which pitch readings are displayed. The volume of each instrument varies, as does noise from other sound sources. These settings combined allow the app to adapt to different usage scenarios and show only readings relevant to the user’s own instrument. To download Pitch, search for “Frozen Ape” on Apple’s App Store or use this link: http://bit.ly/1puG1Xb. Pitch is free for its first month of release, and USD$0.99 or equivalent thereafter. About Frozen Ape Frozen Ape was founded by independent developer, Zen Ho, in 2009. As a Singapore company that specializes in music applications, Frozen Ape is committed to creating user-friendly and functional solutions for mobile platforms. Apple, the Apple logo, iPhone, iPod and iPad are registered trademarks of Apple Inc. in the U.S. and/or other countries. For more information, please visit http://www.frozenape.com.